New way of hunting wild animals’ and new hunting weapons conditioned frequent movements of people, or change of their residence. This resulted in a major transformation of human communities into small groups of people who were forced to constantly roam in a search for food. That is how wandering people were displaced and settled in areas where there wasn’t ice cover. In a relatively short time, ancient people populated the Baltic States, Scandinavia, Scotland, and coastal area along the North Sea, America and Australia. Social life of Mesolithic era is impossible to reconstruct in detail since archaeological materials give very little information about the relationships within the human community. Also there isn’t much information about relations of human community towards other groups of people. Available sources testify that in the late Mesolithic, happened considerable development of gender – tribal organizations, and a change in social relations. 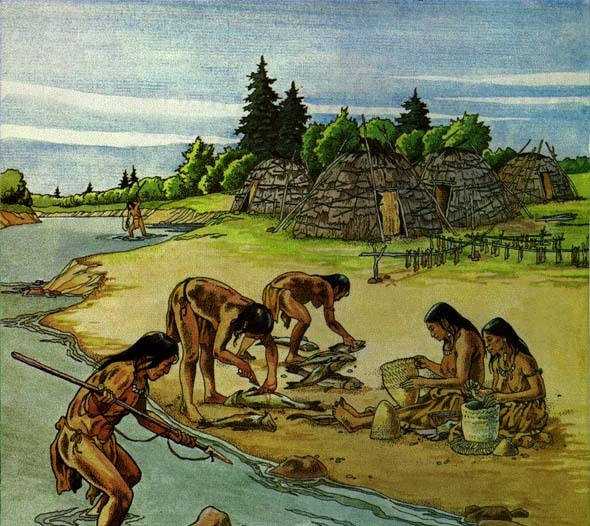 At the time, it was clearly expressed so-called natural division of labour, whereby men were engaged in hunting and fishing, and women gathered plant foods. The social status of men and women was equal. However, there were other differences between the members of a community or more communities. They were, generally, based on the division of the group members according to the age: children, adults and elderly. All members of these social categories had their rights and obligations. First obligation was work, and then the right to receive food, the right to attend the tribal councils, as well as the right for getting married. The transition into the category of adults has been accompanied by consecration of boys and girls. This ceremony is consisted of passing on to them working habits and first experience knowledge, as well as getting to know customs of the group, oral traditions, beliefs, tribe’s secrets, games and songs. Training and preparation for the consecration were subjected all young men. They were beaten, placed on fire made of raw branches, they were wounded, they would broke them few teeth, they were circumcised, they plucked their nails, they cut some parts of their bodies, and so on. All those who would pass or survive this ceremony were considered very well prepared descendants of the group, capable to successfully fight in their forthcoming life. After that, they could get married. 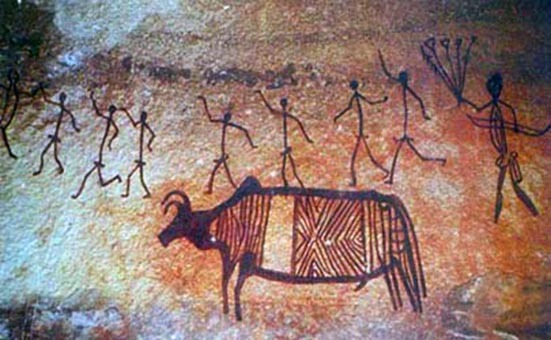 As for artistic creativity, Mesolithic people were almost completely similar to Upper Paleolithic art. The main characteristic of the Mesolithic art were images of animals and people carved in the rock, but these images were carved in a reduced scale and in mass scenes. These types of images were not seen before. Also, there were scenes and events from an ordinary life that as a work of art were intellectually advanced, but with a lower value in terms of creative imagination. There were as well various carvings of animals on bones and also beautiful necklaces that represent perfect works of Mesolithic artists.